Blog: The Veef Show Episode Episode 57 - Two Shows That Are Not B A C K ! I am joined once again by Gubaba (Richard) from The Macross Speaker Podcast to discuss two shows that are not related and will never be B A C K ! It's a two parter this time but tl;dr just play Muv-Luv instead of watching these shows. Part 1 is south of the cross. Part 2 is a little more speedy. Blog: The Veef Show Episode 56: Machine Robo! Machine Robo: Revenge of Cronos is an entertaining second string mecha action series that is also one of the most off kilter toy tie-in cartoons ever produced. ArshadAA and I examine this strange entry in the 80's mecha pantheon. 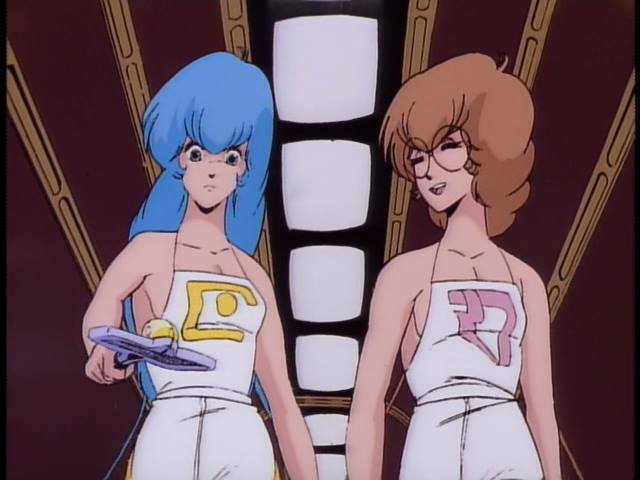 Come for the Gobots and stay for the cute robot girls. Join my and celebrity translator Neil Nadelman as we discuss some totally lame anime. Some things we mentioned can be found on Archive.org for your brain melting pleasure. Also enjoy Daimos's endless transformation sequence. I am once again joined by Richard of the Macross Speaker Podcast to discuss the second part of the Super Dimension trilogy: Orguss! In the first part we discuss the original 1983 TV anime and in the second we tackle the 1993 OVA sequel. Stay tuned for a possible followup show featuring more background material! 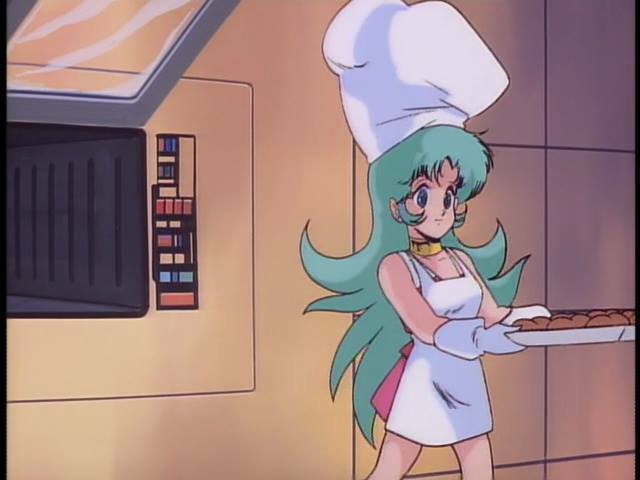 A cute robot wearing a chef's hat. Hellboy is a real jerk so clearly I need that wormy guy who follows him around to relate to or I could just relate to the real jerk cause I am one too. Blog: Anime Boston 2013 Report and Macross Panel Video! Well another very enjoyable Anime Boston has come and gone. I had a lot of fun hanging out with friends, going to panels, and hosting a panel myself for the very first time. 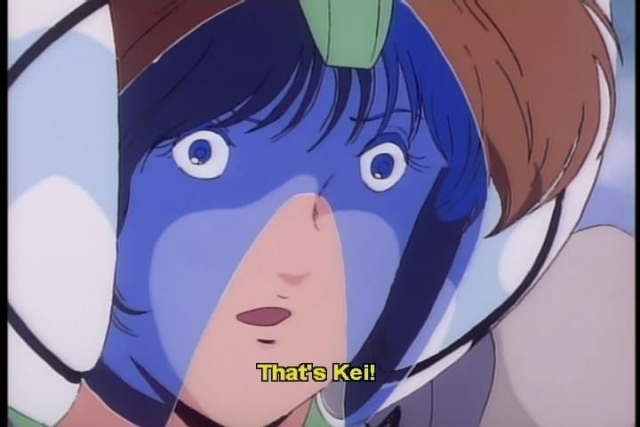 For all our CollectionDX readers going to Anime Boston 2013, I will be hosting a panel on my favorite subject: Macross! This panel is called Flight of the Valkyries: A Guide to the Mecha of Macross and will be held in Panel 206 on Friday May 24th at 4:00 PM. In this panel I will be going over the real life history of the various Valkyries using information graciously provided by Renato from the Macross Speaker Podcast as well as relating these fictional aircraft back to the real world airplanes they are based on. The panel is set to last for an hour and I hope it will be very informative for those who attend! Blog: The Veef Show Episode 52 - AKB0048! I am joined once again by Carl aka SDshamshel of Ogiue Maniax to discuss the recent anime AKB0048, which was directed by Shoji Kawamori with Mari Okada as the head writer. Check out his post on how actual AKB48 songs are used in AKB0048. Freedom fighting idol singers just doing their thing. Beware of spoilers and the No Fun police. I am joined once again by Renato from the Macross Speaker Podcast to discuss the history of Yamato Toys and their dedication to making some of the best Macross toys that (lots) of money can buy! Please right click and save as on the links below to download. You can click here to see all the Yamato Toys products we have reviewed here at CollectionDX. I will also point out links to key reviews in the notes. In the first part of the podcast we covered their original Macross Plus toys from way back in the year 2000 to their first VF-1 toys. Josh's review of the 1/72nd scale YF-19 Alpha One toy. Or How I Learned to Stop Worrying and Love the Sky High. Blog: Max Veefroom on Big Time Television! C-C-Catch the wave! Catch it if you can, can! Blog: A brief history of the VF-4's design. The fan favorite Valkyrie known as the VF-4 Lightning III had a rough journey to being a machine with scant seconds worth of screen time to a fully realized transforming fighter. It began humbly enough with the VF-X-4 prototype seen briefly as a scale model in the last episode of Super Dimension Fortress Macross. This served only as a tease for what was to come. The VF-X-4 possesses a similar layout and overall design as the final VF-4 but still differs in some of the finer details. I am joined by fellow CollectionDX reviewer Anavel to discuss Eureka 7 AO in all of its strange glory. Click here to listen to me swear about mecha shows for like an hour. PUT IN THE CYBER CYCLE DISKS YOU DAMN DIRTY DOG! Click the above to jack in!